Just in time for going back to school! 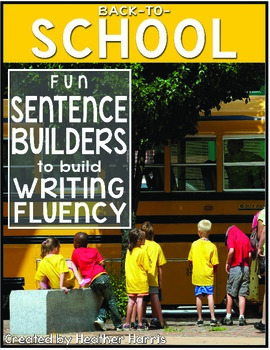 School themed sentence building cards for your little writers. 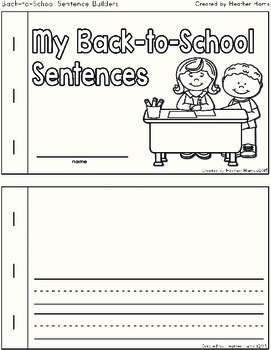 This non-fiction writing lesson helps develop handwriting skill and builds sentence fluency. 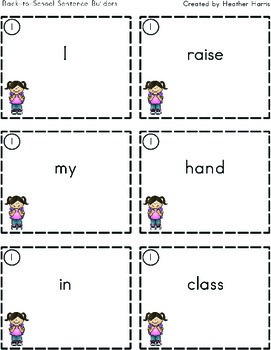 These cards are perfect size for a writing center or a pocket chart. Mostly black and white with small colorful graphics. 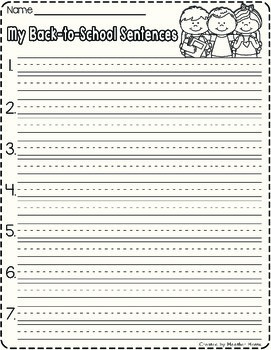 •Please go to your My Purchases page (you may need to login). Beside each purchase you'll see a Provide Feedback button. Simply click it and you will be taken to a page where you can give a quick rating and leave a short comment for the product. • Look for the green star next to my store logo and click it to become a follower! •You will now receive email updates about my store!